Brewers prospect Lucas Erceg made the most of his two at-bats in a split-squad spring training game Monday against the Indians, homering twice and driving in five runs in Milwaukee’s 14-4 win over Cleveland. Erceg entered the game as a pinch-runner for Travis Shaw in the 5th inning and remained in the game at third base. He blasted a grand slam in his first at-bat in the 6th inning, and slugged a solo shot in his second at-bat in the 8th inning. 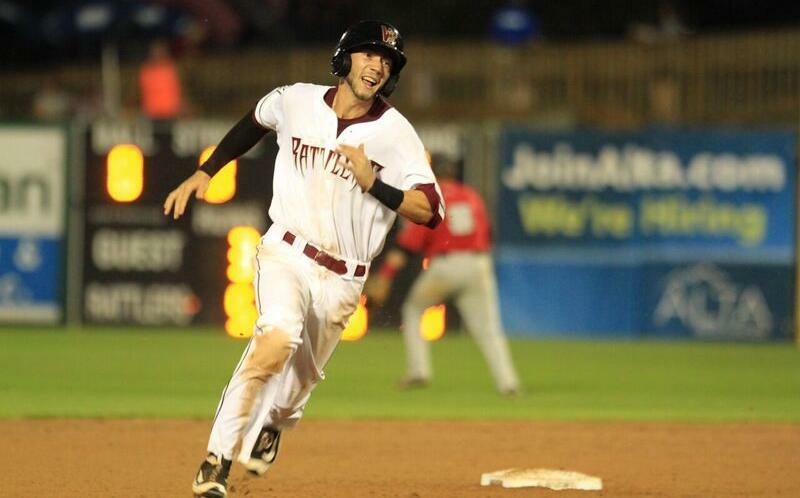 Erceg played 42 games with the Wisconsin Timber Rattlers last season, batting .281 with 7 HR and 29 RBI. He also played 26 games with the rookie-level Helena Brewers last year, batting .400 with 2 HR and 22 RBI. This entry was posted in Helena Brewers, Midwest League, Pioneer League, Wisconsin Timber Rattlers. Bookmark the permalink.